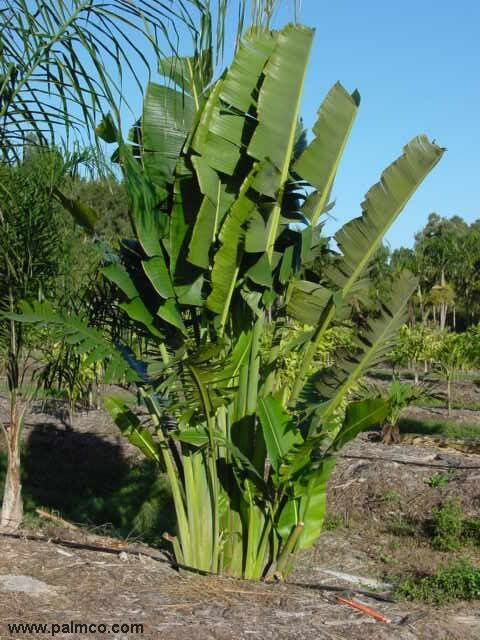 Originally from Madagascar, the Ravenala is currently planted worldwide in tropical areas. As a result, this special exotic reminds inevitably of holidays. The common name “Travelers tree” is due to the myth that travelers would survive due to the accumulated moisture in the leaf bases. But in view of the height and its impurity, this seems unlikely. The Ravenala is rarely proposed for sale in Europe. The particular seeds with blue fringes, on the other hand, can be found more easily. However, cultivating this species is not so simple. Here’s a manual how we succeeded! 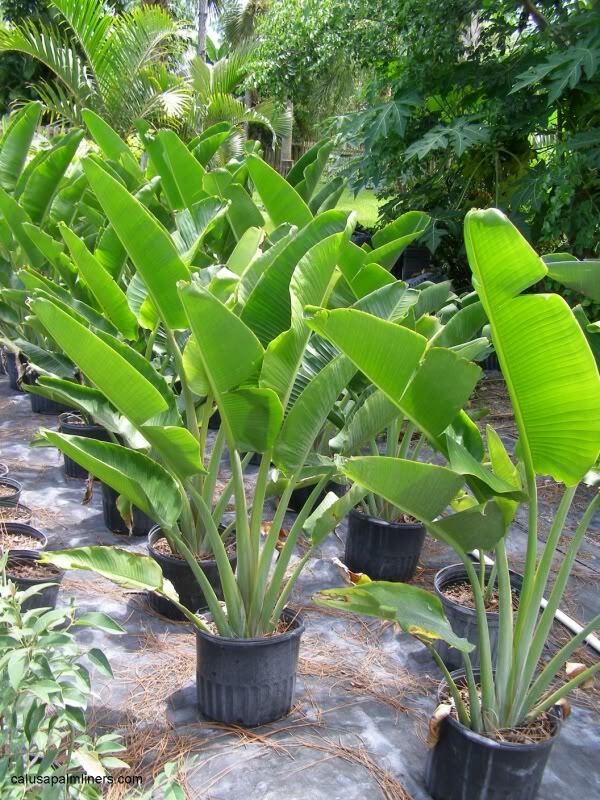 The mature plant consists of a stem with a bundle of large leaves on long leaf stems arranged in a fan shape. 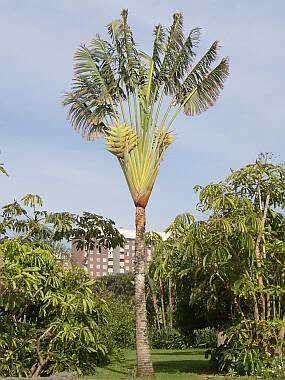 A mature subject can grow up to 18 meters (59ft) with leaves up to 3 meters (9 ft) long! 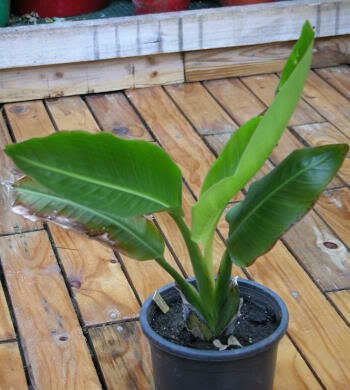 At a younger stage, when it hasn’t developed a stem yet, it has more resemblance to the Strelitzia, which is also part of the same genus (Strelitziaceae). 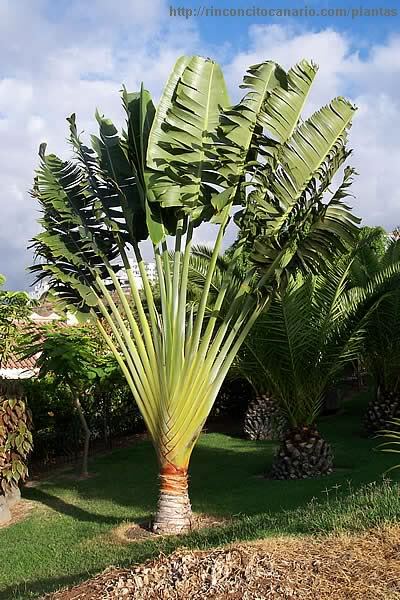 The Ravenala likes a sunny, sheltered location so that the large leaves do not tear apart by the wind. Like the banana, the Ravenala needs a lot of water. This fast grower isn’t hardy at all and needs the be kept above 15°C (59°F). For good germination results, fresh seed is a necessity. Do not hesitate to contact the seller and ask for more details about the harvesting date. 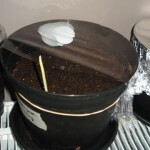 Take a pot and fill up with a layer of quality seed raising mix. Then put your seeds on this mix and cover them with another layer of soil. 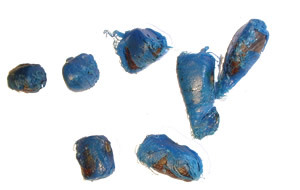 The typical blue fringes must be removed from the seeds. A good rule is to cover them with a layer as thick as twice their own size. Humidify the soil but do not over water to prevent mold. 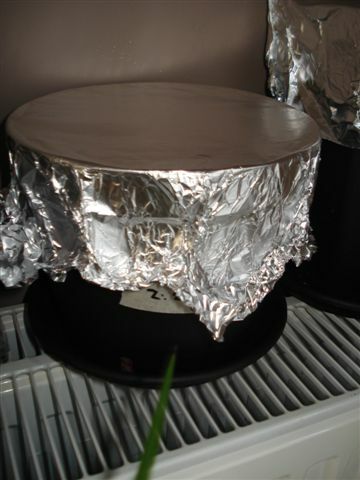 Then you can cover up with some plastic foil to preserve humidity but ventilate enough to prevent mold grow. 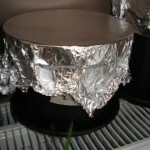 Place the pot somewhere warm, like on top of the central heating system. Humidify the soil when needed. 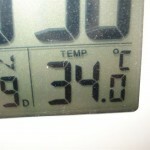 It is unnecessary to increase the house temperature. When the house is heated normally, the temperature right above the radiator fluctuates between 24°C (75°F) and 50°C (122°F) at the warmest point of the radiator. 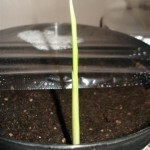 After one month the first seedling came up. 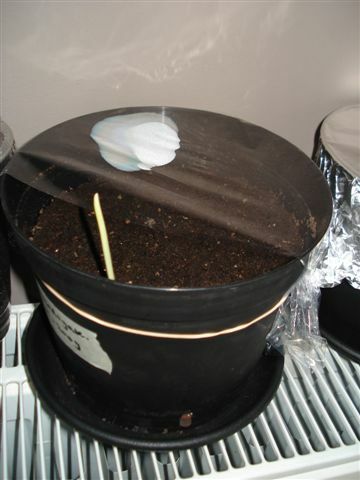 As it needs light from this stage on, the aluminum foil was replaced by plastic foil leaving a small open space for the seedling to grow but conserving a maximum of moist inside the pot. 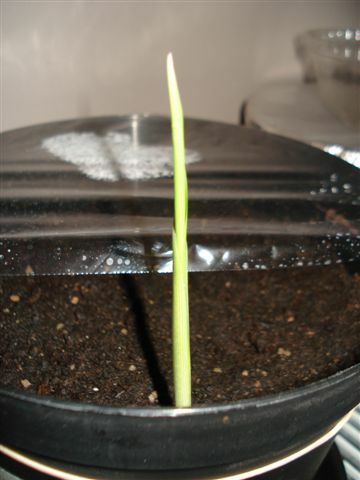 Within the two months after sowing the second and third seedlings were seen. 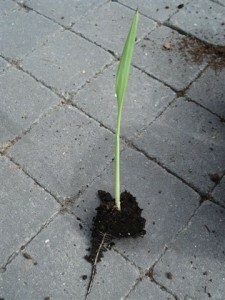 As soon as the seedling appeared to be strong enough, they were transplanted into their individual containers. Waiting to long may risk to do more root damage than necessary. 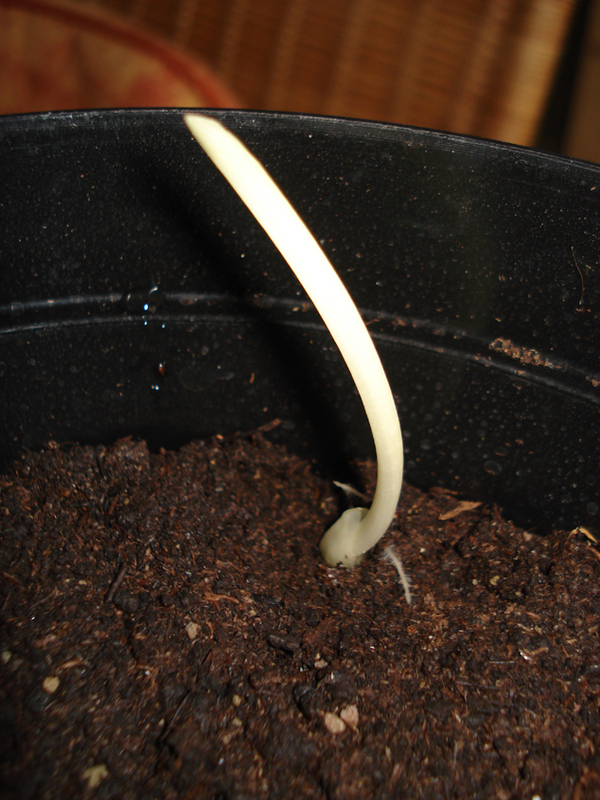 From the 25 seeds, finally 6 seeds germinated, the first after 6 weeks.